11. 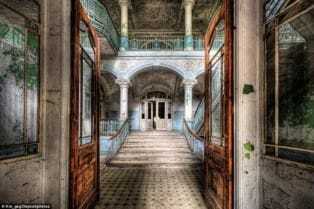 Beelitz-Heilstatten Hospital in the city of Brandenburg, was built to serve the military in World War I and II. 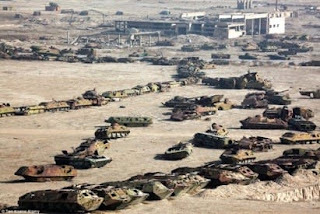 But the work was abandoned after the Russian military withdrew from here in 1994. 12. A cemetery military facilities at the military training center of Kabul, Afghanistan. Tanks and armored troop transport vehicles rusting for years after Soviet troops left Afghanistan in 1989. 13. 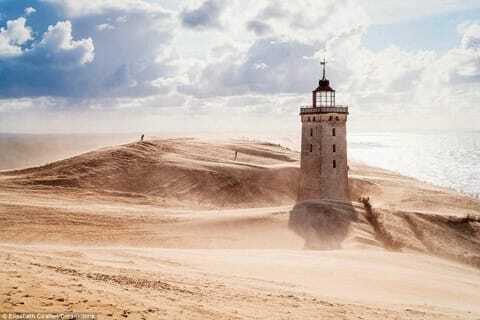 Rubjerg Knude lighthouse was built in Denmark in 1900 but ceased operations in 1968. The situation was eroding cliffs like today, the lighthouse is expected to fall into the sea by 2023. 14. 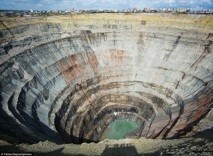 Diamond Mine near the town of Mirny in Siberia Russia abandoned after closing in 2004. 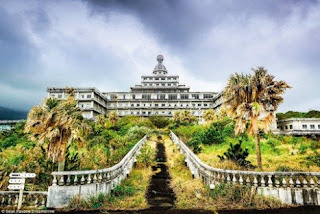 It is the second largest artificial lake in the world. 15. 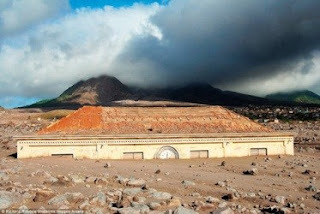 The capital of the island of Montserrat in the Caribbean buried in volcanic ash in 1997 and so far people have not yet returned. 16. The steel fortress looked like in fiction, built during World War II at the mouth of the River Thames in England. 17. The volcanic island of Hachijo-jima been called the Hawaii of Japan, the Royal hotel luxury Hachijo opened in 1963. However, this project has been closed since 2003 to date. 18. 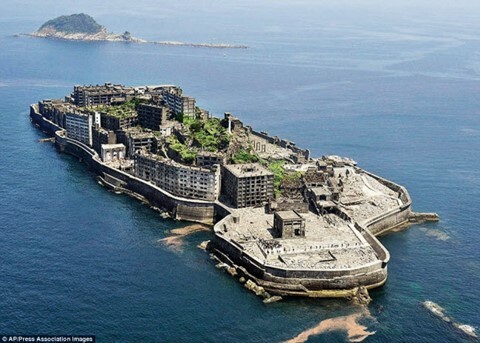 More than 5,000 people lived and worked in the mine on Hashima Island, Japan. But the island was abandoned after the mine closed in 1974. 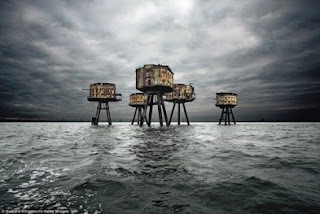 It became famous after appearing in blockbuster James Bond film series. 19. Orpheum Theatre with a capacity of 1,500 seats, opened in 1912 in the city of New Bedford, Massachusetts (USA). 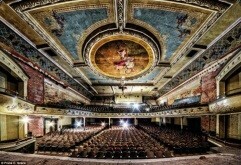 Then the theater was used as a movie theater before closing in 1959 and abandoned so far. 20. 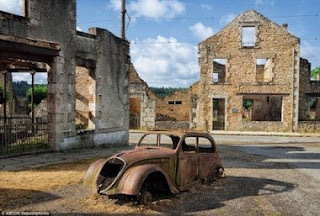 The village Oradour-sur-Glane in France was destroyed in 1944 and became a memorial site after World War II.